KPI’s or key performance indicators measure your progress towards your goal. This ultimate ‘key performance indicator’ guide offers a simple KPI definition, 23 pages KPI examples (marketing, sales,…), a KPI template, video,…. It’s clear that having the right Key Performance Indicators is a crucial component to strategy execution success. I see however too many managers getting carried away when they hear the word KPI. Dashboards, traffic lights, …. the more colors, the better. But using Key Performance Indicators that way, they can do your organization more harm than good. Start by downloading the free key performance indicator PDF. It offers 23 pages with Key Performance Indicator examples for sales, marketing, operations, …. Download a free checklist Find the right KPI using this 23 pages long list with KPI examples! What is a KPI (Key Performance Indicator)? A KPI or Key Performance Indicator is a measure to track performance. There are lag indicators looking at past performance and lead indicators predicting future success. Organizations use a set of KPI’s to evaluate progress towards reaching goals. Selecting the right KPI’s depends on your sector (banking, automotive, …) and type of business activity (sales, marketing, HR,…) Each department uses different KPI types to measure success based on specific business goals and targets. Here are 6 important tips to focus on. You can use them to challenge existing KPI’s of check the quality for new ones. Performance indicators should be deduced from strategic objectives and measure the degree of achievement. Focus your measurement on the outcomes, not the means. Here’s an example from Balanced Scorecard expert Carlos Guevara: “Once, in a Balanced Scorecard workshop, a Supply Chain Manager told me that one of her key objectives for the next year was to implement a new procurement system. She had even set out the measures and targets – in 15 months the system should ‘go live’. I asked, “Why do you need a new procurement system?”. After a few seconds pause, she replied: “You are right, that’s not my objective, that’s my initiative. My objective would be to improve the efficiency of procurement”. In this example, the real benefit, the outcome, is a more efficient procurement. And that outcome deserves a measure and one or more targets. You don’t want to hear from the accounting department six months down the line as to whether your strategy is on track or not. You need real-time and leading (read: predicting) KPI’s that will give you early warning signs as to if and how you need to change course. And as each strategy is unique, there is no fixed set of KPI’s that will work in every situation. So it’s important that you get into the habit of building and monitoring your own relevant KPI dashboard. Don’t copy / paste indicators because others are using them. Using ratios – correlating two variables such as cost per unit or CAPEX per employee – may seem like a good idea at the start, but when your ratios are so complex that you can’t explain if it is going wrong because of your numerator or denominator, using ratios become useless. Measures should be simple to understand and easy to act upon. Always spend enough time defining your KPI’s. Stay away from those that can only be measured once a year. Great KPI’s are backed up by reliable data, can be reported frequently and are easy for target setting. First of all, this means no ‘yes/no’ KPI’s. Indicators should be constantly measurable and suitable to show development over time (e.g. the improvement or deterioration of the indicator over several periods). This means that an indicator that is measuring the achievement of a certain condition, such as a quotation of the division at the stock exchange, is not a good Key performance Indicator, even though the objective might show strategic relevance. 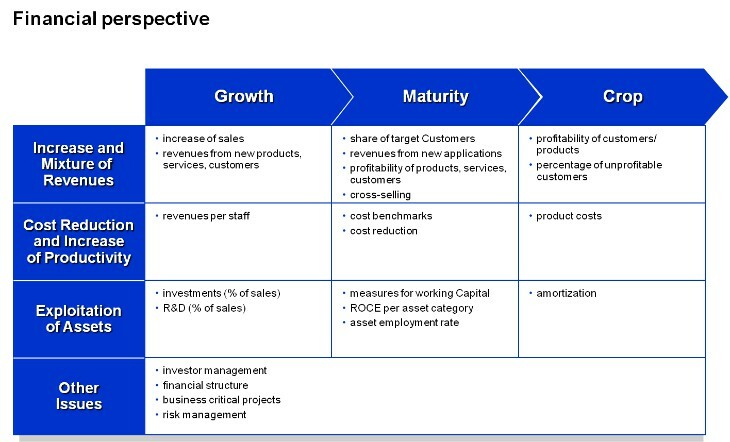 Ideally, KPI’s have to be consistent over time and across several operating units. It starts with a clear indicator so that measuring the same value by two different people gives the same result and a stable measurement process. How? Make a definition card that clarifies the purpose of each Key Performance Indicator, the source of its data elements, the calculation method, frequency of update, data owner or owners and evaluation limits. If management asks: “Where did this number come from?”, you probably missed a few steps. A lagging indicator is an indicator that looks at the past. It trails behind reality and offers an accurate, but historical view of the facts, such as turnover. A leading Key Performance Indicator tries to predict the future. It shows trends before lagging indicators show the actual result, for example, customer satisfaction before customer loyalty. Your dashboard should have enough leading indicators so you can predict where you are going and take corrective action if needed. Having only lagging indicators limits your corrective ability. Also, having a dashboard full of lagging indicators gives you a false sense of control. If it takes you a week to collect the data or you need to reconfigure your complete ERP system to get it automated, you are probably better off selecting another measure. Measurement has defined society, government and progress since the dawn of civilization. Length, area, volume, angle, weight, value, language and time all had to be quantified and systematized to mark out land, plant crops, build palaces, trade goods, tax individuals, keep records and celebrate festivals. In science, measurement has given rise to the modern world with its cash registers, communication satellites and brain scanners. Andrew Robinson points out in The Story of Measurement that measures regulate almost every aspect of our lives – through exams, interest rates, drug prescriptions and opinion surveys – whether we like it or not. In our modern business world, measurement too takes a central place. Each company diligently tracks financial performance, consumer insights, employee satisfaction, process efficiency and safety standards. Their employees have their individual measurement set, voluntarily or not, to track objective completion, sales performance and personal growth potential. Measurement has become part of our way of working. This quote has been attributed to management guru Peter Drucker, although nobody knows how it really started. This quote has become a mantra for a whole generation of managers (and remains so today for many), making measuring the holy grail of execution. As long as you measure what you are doing, as long as you have a dashboard, you are doing just fine. But unfortunately, that’s not true. Good indiactors require a lot of trial and error. It’s hard work! Need some inspiration to find the right kpi’s? 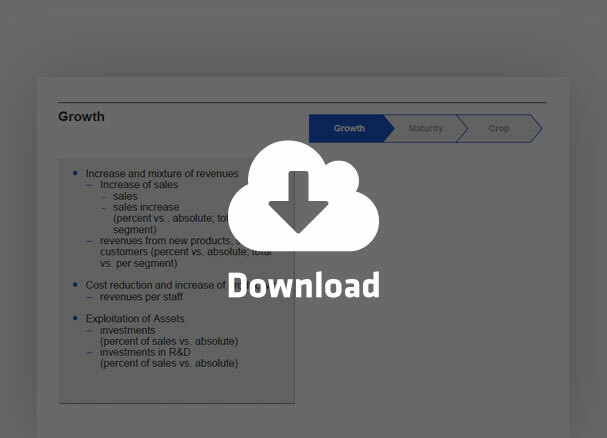 Download the complete PPT with KPI examples now! Previous Post 60 Amazing Time Management Quotes with References! Next Post 29 cool determination quotes! Learn how to implement your strategy with exclusive tips and insights I only share with my private newsletter subscribers. The Ultimate Strategy Guide for Beginners! 51 Tips to Improve your Speaking Skills! 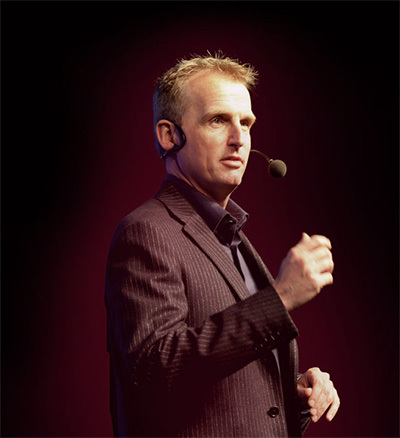 Jeroen De Flander is one of the world’s most influential thinkers on strategy execution and a highly regarded keynote speaker. 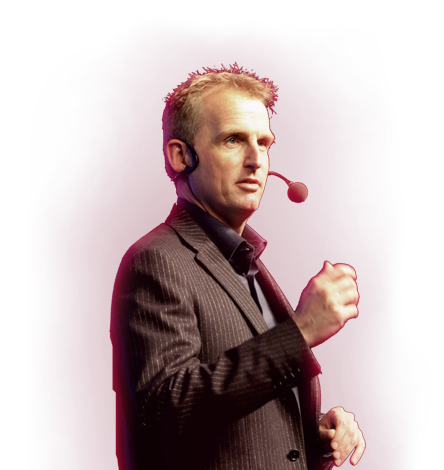 He has shared the stage with prominent thinkers like Michael Porter, Costas Markides, Roger Martin, Robert Kaplan & David Norton and helped more than 28,500 managers in 40+ countries master the necessary execution skills. Receive our weekly tips. Simple, fun and free - join 32,645 smart subscribers.